Perhaps Blackrod has never been a major location on the railway map, but it was once a junction station on the Lancashire & Yorkshire Railway with over 70 departures a day, three platforms, a goods yard and a manned ticket office. Now, just a couple of platforms and "bus shelters", Blackrod Station was once much more. To its inhabitants, it's still known as "the village", but Blackrod is probably too large to be accurately described as such. However, when the railway came, the station was named after Blackrod's larger neighbour, Horwich. The station went through a number of name changes, starting out as "Horwich Road" before being renamed "Horwich & Blackrod". In 1870, it became "Horwich Junction" to reflect the fact that the Horwich branch had opened, but just three years later, in February 1873, the station became "Horwich and Blackrod Junction". Finally, in April 1888, the station became simply "Blackrod". 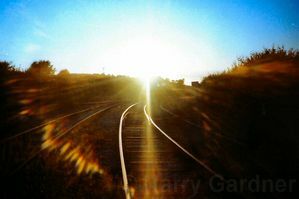 The second novel by acclaimed author Geoffrey Seed includes action set in Blackrod and Chorley, centred around the railway. The plot of The Convenience of Lies based on real events of 1990 and the Arms to Iraq scandal. The book is reviewed on the Lancashire Magazine website and will feature in the next issue of the glossy magazine. Chris Littleworth has just published his eagerly awaited book "Signal Boxes on Lancashire & Yorkshire Lines: North and West of Manchester". It is full of thoroughly researched detail, with plenty of photos and diagrams. It comes highly recommended to anyone with an interest in railway signalling andlocal railway history. Amongst many others, Blackrod Junction &Horwich Fork are covered, as are the other boxes on the Horwich Branch. The book is published by the L&YRS and is priced at £15. The "final act" for Blackrod Junction Signal Box approaches, The venerable L&Y box is scheduled to be demolished on the evening of 5th May 2013. Update : Demolition was delayed, but eventually took place over the weekend of the 1st & 2nd June 2013. Blackrod Junction Signal Box, having survived a number of scrapes over the last 40 years, has finally closed. The venerable Lancashire & Yorkshire Railway signal box, built around 1882, is now officially "abolished", finally being deactivated at 0300 hrs on Sunday 10th Feb 2013, after over 130 years of service..
Blackrod Junction Signal Box is due to be decommissioned in a matter of days. After leading something of a charmed life from 1972 onwards, on Monday, it will finally lose it's battle with the march of technology. As already reported, Blackrod Junction Signal Box will close in January next year. A firm date has now been announced. A part of a 29-hour line closure, the box will be taken out of service on 21st and 22nd January 2013. Last year saw the completion of the local authority work on Blackrod Station, with the construction of a new pick-up/drop-off point and road works at the top of the old Station Yard approach. In 2009, Network Rail spent a considerable sum refurbishing "our" Signal Box, so it will come as no surprise to find that it s now earmarked for closure at the beginning of 2013. The refurbishment of the box, other than being a waste of money, also means that there is probably no prospect of saving the box for a preserved line or private collector. Prior to receiving uPVC windows, it would probably have been a worthy candidate for preservation. The first phase of the accessibility upgrades to Blackrod Station are now complete. Further work is expected, which will see the erection of a zig-zag ramp from the new pick-up / drop-off point, to the Manchester platform. On the other side of the station, a tarmac ramp will replace the existing stepped path from Station Road. It's good to see some money finally being spent on Blackrod, which lays to rest any fears about a hidden agenda to close the station. Of course, there is still some way to go before the facilities will match those at close neighbours Horwich, Lostock and Adlington, but we live in hope! The existing plan will see Blackrod "wired" as the last phase of a scheme which includes a number of other "in-fill" electrifications around the north west. Electrification is good news for commuters on the line. Train tend to be faster due to superior acceleration and services from Manchester to Glasgow would at last use quieter electric trains which are more suitable for long journeys than the current 185 TBE diesel trains. 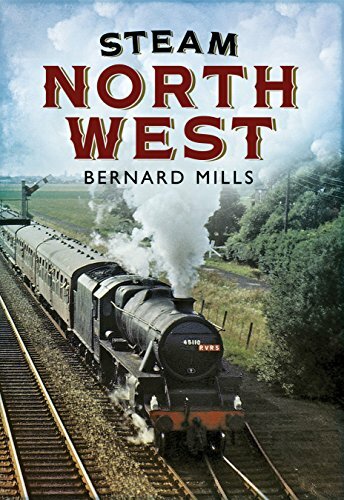 Bernard Mills, who kindly provided colour images including the one at the head of this page, now has his long awaited book published - and it comes highly recommended for all North West steam enthusiasts. 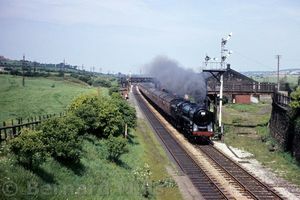 The book is a pictorial account of Bernards travels around the North West during the dying days of steam, during which he recorded on film - all in colour - the final throws of main-line steam in Britain. The author, a West-Country man, made the pilgrimage up to Lancashire on more than one occasion. Accompanying captions are informative and entertaining and image quality is very good throughout. Steam North West is available from all good bookshops and online via Amazon. After 140 years of service, Blackrod Junction Signal Box has finally closed. Blackrod's signal box had survived a number of brushes with death over the last 50 years, in later years sandwiched between the large computerised systems at Preston and Manchester, and despite the loss of the station yard, coal sidings, Cooke & Nuttalls sidings and the Horwich Branch itself, during that period. The end finally came at 3am on Sunday 10th February 2013, after more than 130 years of service, when it was signed off by the S&T engineers & simply deactivated, with dismantling of the redundant equipment taking place throughout Sunday. Demolition finally happened over the weekend of the 1st & 2nd of June 2013. There are a number of photos in our archive, of Blackrod Junction Signal Box over the years, including several of its final days. Copyright (c) 2012 blackrod.org.uk.- All rights reserved. - Site design based on template by Free CSS Templates.